3.65V or 3.9V per cell? If ordering more than 1 PCB model, add them to the pallet individually. 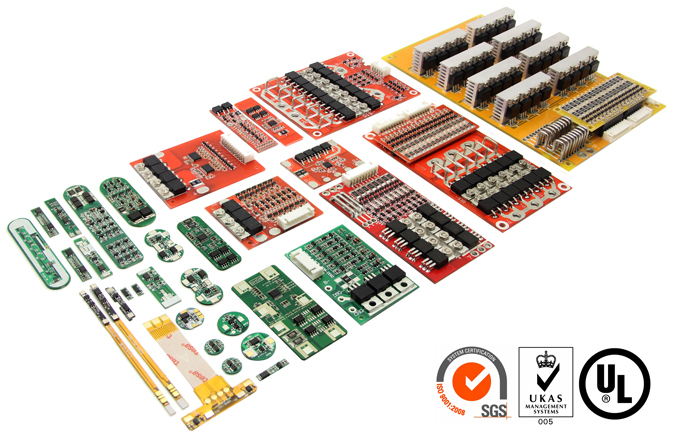 You'll need to know your maximum charge and peak discharge amperages to choose your PCB. The second one ECPC-154 is both 4A maximum charge and 4A peak discharge capable. It can't be more, but it can be less down to 1A. 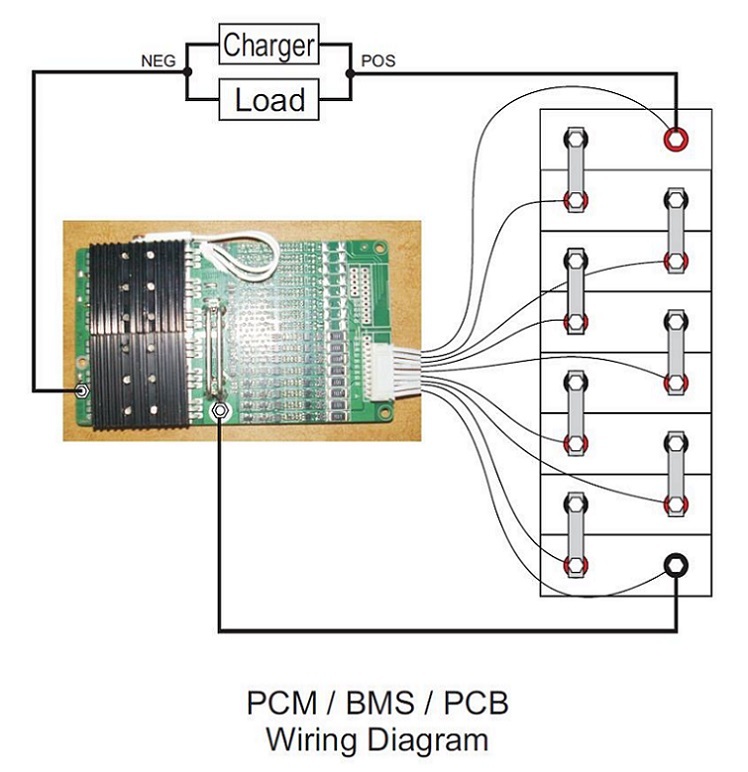 The maximum suggested length for each wire from PCB to battery is 45cm for maximum balancing and PCB function. Can be adjusted between 20 and 25 amps for both charging and discharging. Just leave us a note in the “Special Instructions” above as to where you would like it set for both. Select the one that you would like in the options below. There are 2 ways to get an exact quote for the base shipping for your 12V-12.8V-14.4V 4 Cell-Battery Series 4A-300A Max Current UL SGS and UKAS Certified Custom Built Lithium LiFePO4 LFP PCB-PCM order. 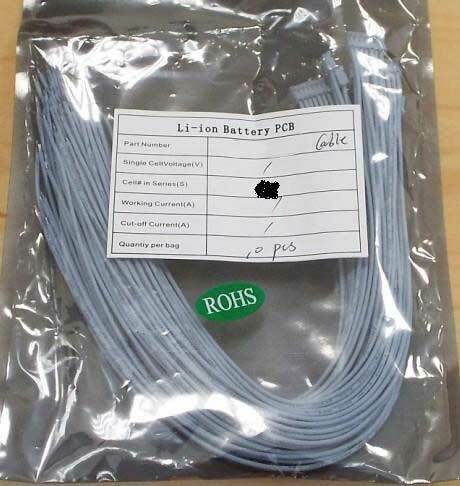 We’ll research the exact shipping cost and send you an invoice to your PayPal or email or you can add it to your pallet in $1 Shipping Increments for your 12V-12.8V-14.4V 4 Cell-Battery Series 4A-300A Max Current UL SGS and UKAS Certified Custom Built Lithium LiFePO4 LFP PCB-PCM order. § Avoid overcharging or over-discharging your 12V-12.8V-14.4V 4 Cell-Battery Series 4A-300A Max Current UL SGS and UKAS Certified Custom Built Lithium LiFePO4 LFP PCB-PCM. Lithium batteries are sensitive to being overcharged or overly discharged. Overcharging or over-discharging lithium cells may lead to a much shorter cycle lifetime. § Do not immerse lithium batteries in water or allow them to get wet for any prolong period of time. § If a battery cell smells bad, is very hot, or appears deformed, remove it from the system and your 12V-12.8V-14.4V 4 Cell-Battery Series 4A-300A Max Current UL SGS and UKAS Certified Custom Built Lithium LiFePO4 LFP PCB-PCM. If the battery is under manufacturer’s warranty take a picture of the battery as soon as possible. § In the event of a cracked or physically damaged battery cell, do not allow any lithium battery electrolyte to come in contact with your skin. If you do come in physical contact with the lithium electrolyte wash the exposed area with clean soapy water as soon as possible. § To avoid electrical shorts, do not ship or store any metal objects near the battery terminals or your 12V-12.8V-14.4V 4 Cell-Battery Series 4A-300A Max Current UL SGS and UKAS Certified Custom Built Lithium LiFePO4 LFP PCB-PCM. § Do not incinerate or expose lithium batteries to a fire or high heat source. § Store lithium batteries at 50% SOC, (State of Charge). Check and recharge every 6 months. § Check the voltage of the battery pack before connecting your 12V-12.8V-14.4V 4 Cell-Battery Series 4A-300A Max Current UL SGS and UKAS Certified Custom Built Lithium LiFePO4 LFP PCB-PCM to ensure that it is within the safe range. Inspect the BMS for damage before charging the pack. § Clean any dirty electrodes or components with a dry cloth. § To avoid possible electrocution, always use caution when working with your battery pack or the BMS system. Wear rubber gloves and have a professional licensed electrician to assist you when working with your 12V-12.8V-14.4V 4 Cell-Battery Series 4A-300A Max Current UL SGS and UKAS Certified Custom Built Lithium LiFePO4 LFP PCB-PCM.